What Does A Buyer Agent Do To Help You? Review Our Home Buyer Services on 'Our Guarantee' page, we are 100% focused on your happiness and success! 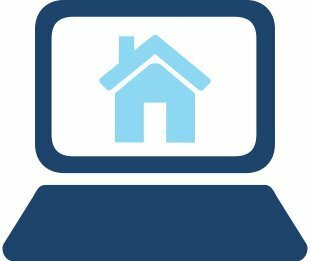 Search Homes Now: Our site offers a variety of listing search options to help you begin to get an idea of where you want to live. Use the ADVANCED SEARCH to get a birds-eye view of all listings, anywhere. Search by Denver or Boulder neighborhoods if you already have an idea of what neighborhoods you are interested in. Or, try one of the DBRE pre-set popular quick buyer searches to browse new homes, luxury homes, Denver condos or mid-century homes! Register For Our Home Finder Service and let your dream home come to you! Members can also create saved searches, collect their favorites and sign up for instant email alerts when new homes that fit their criteria come on the market. First-Time Home Buyer? Are you new to the home buying process? Read about some important things you should be aware of when buying your first home. Buy Your Home With A Buyer's Agent Who Is Also A REALTOR®: So, what is the difference between a real estate agent and one who is also a Realtor®? Meet our award-winning Realtors and find out how working with a Realtor could make the difference for your real estate transaction! Use Our Mortgage Calculator to get a good idea of how much your mortgage payment would be. This calculator takes all details into account — term of the loan, down payment, price, interest rate, and PMI/Private Mortgage Insurance if your down payment is less than 20%. Complete the buyer form below, a Denver Boulder Real Estate agent is ready to help you find your next home!